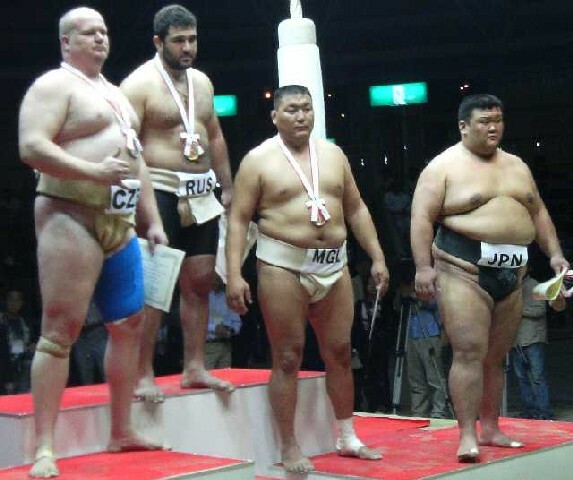 Czech Rikishi ShiroiKuma takes 2nd place at the 2006 World Sumou Championships in Oosaka, Japan. 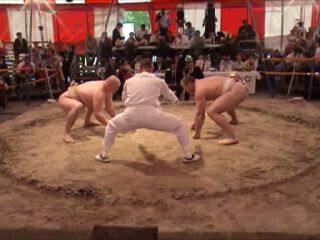 The heaviest Sumou fighter in history - 400kg - World Champion, Emanuel Yarbrough in the Czech Republic, attending Sokol Sumou Cup in Jilemnice in June 2006. Our Union has been spreading and popularizing Sumou in the Czech Republic since the last millennium. Why is it spelled Sumou and not Sumo? Sumou is not only a sport, but also a philosophy, a guide to traveling through life, how to overcome yourself. What is Sumou? Our athletes represent the Czech Republic in major international Sumou competitions, including amateur and professional ones. Our member-lineup includes medalists from World Games, European Championships, World Junior Championships, European Junior Championships, and a number of major international local competitions, all the way from Hawaii, across Europe, to Japan. Czech Sumou Union is a member of: International Sumou Federation, European Sumou Union, Czech Martial Arts Union, Czech Federation of Sports and Czech Olympic Committee. Our goal is to spread the ideas of Sumou in all of Czech Republic. To this end our member clubs and individual members work endless hours.